Tables are boring, sober and uncreative, but at the same time, they are practically honest. 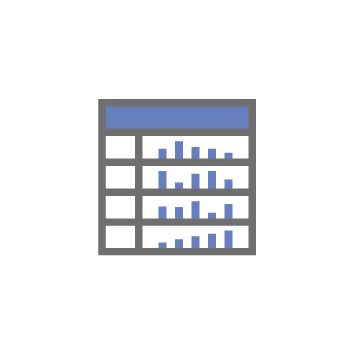 Assuming they are correct, numbers can't lie - they are presented as they are and that's why tables will always be needed in a dashboard for data analytics. A bullet chart is a variation of the progress bar. It serves the purpose of comparing actuals versus targets and displays them in the context of qualitative ranges of performance, such as poor, satisfactory, and good. Colors in the above image indicate how well each salesman has performed in terms of sales amount. The thin bar will always be your actuals, the red benchmark is the target and the optional areas define the qualitative ranges of sales amounts. A more detailed blog post will follow soon on how to best use this new type of mini-chart - stay tuned! In a corporate world with many different devices, screen sizes and resolutions, object need to be responsive and auto-size automatically. 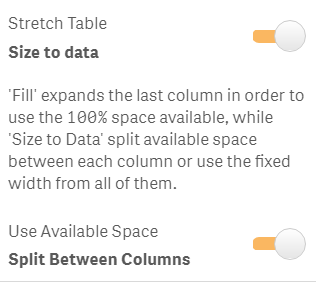 With the Vizlib Table you were so far able to set a fixed column width, but today we also introduce dynamic responsiveness as an option in the table settings. 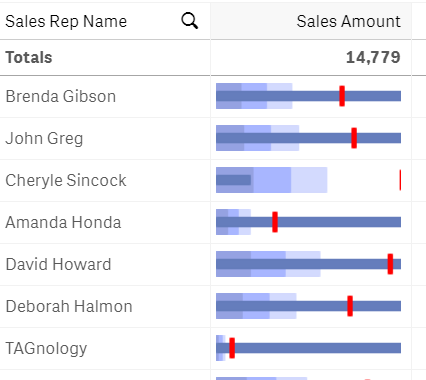 This feature works best if you have a case where you are using the Vizlib Table in both mobile and desktop apps. We received a lot of requests around very custom formatting options and features. While we could integrate them all, it will most likely bloat the settings panel of the Vizlib Table and make it less easy to use for beginners. To try to accommodate both worlds, we decided to introduce a new feature which allows the user or developers to specify their very own CSS styling. Be careful - you could break the table with the wrong syntax, and because of that, the feature is unsupported. 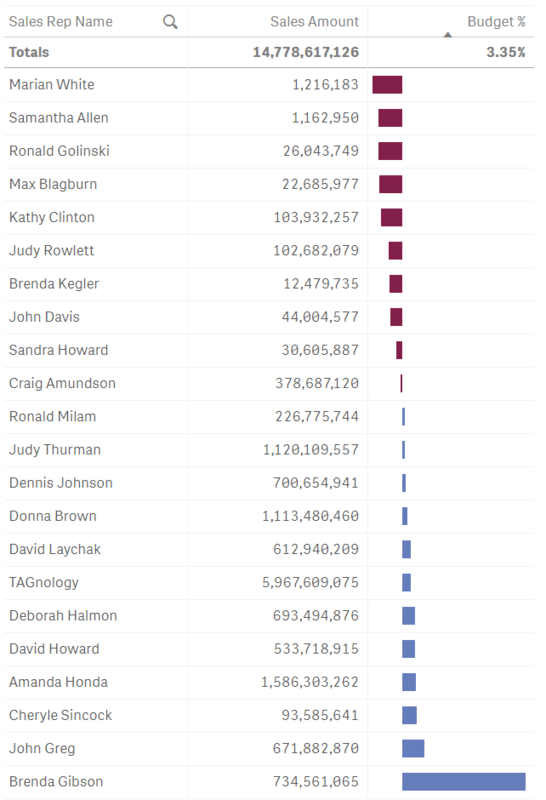 As a result, John Greg, will see its Sales Amount highlighted with a border, specified using CSS. As always, a new Vizlib release not only comes with big new features, but also plenty of small ones are included as well, not forgetting about constant improvements of bugs. Read the changelog below for full details on what is new in the Vizlib Table v1.6. 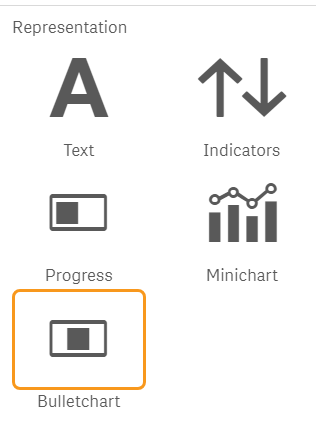 Number formatting of mini-chart tooltip now inherits the measure format. 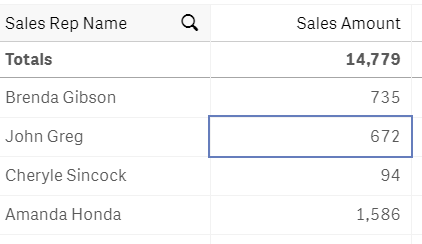 New Relative split options: Convert column metric values relative % to total. 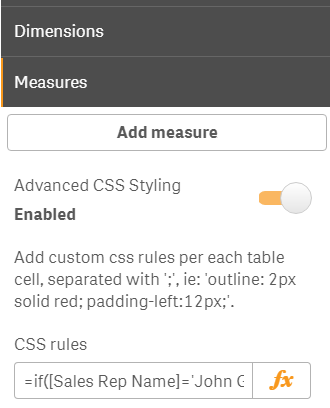 New Advanced Custom CSS Styling options for cell formatting (experimental). Auto-Fill option now distributes the available width evenly between available columns. This is useful to make the Vizlib Table responsive to different screen resolutions.